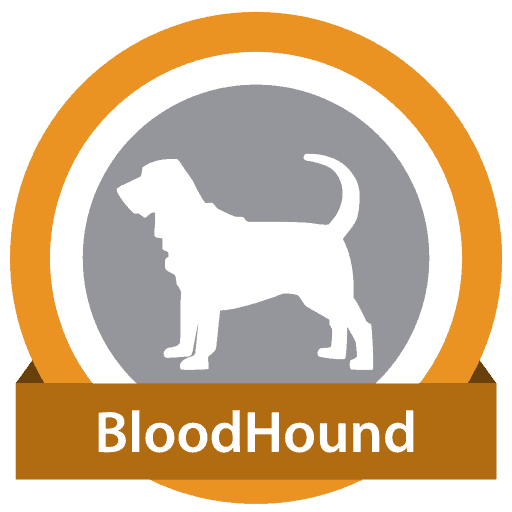 BloodHound is a no-code system builder. It helps you design, backtest and trade any system with ease. The first software of its kind that empowers traders with the ability to model, test, analyze and execute trading systems. Letting you take your knowledge of trading and allow you to put it into practice the most efficient way possible. With Bloodhound you can determine how profitable your system is before you lay real money down on the line – using simple visual programming. Whether you are learning on your own or with a mentor, it is imperative as a trader to back-test tweaks or improvements to any trade system. Skipping this crucial step puts you at a serious disadvantage and is rather like shooting with a blindfold on. Until now, the only way to properly back-test a trade strategy was to manually code it in some scripting or programming language, a very tall order for traders who aren’t software developers. Bloodhound changes all this. Giving you the power to discover great trading systems like never before, all without the need to code it yourself. A serious tool for serious traders who want what it takes to succeed in the market. An auto-trading robot can trade without the emotional baggage that a human trader has. And with the alarmingly high percentage of overall trades in the market being executed by autotraded systems today; it’s practically a necessity to have some sort of robotic assistance to remain competitive. Bloodhound gives you the power to execute your trade system without breaking a sweat. With Bloodhound you can sit back and play the role of a monitor, while it automatically executes orders on your behalf – all according to your trade system. The core feature of Bloodhound is a unique visual programming UI. Using sophisticated logic and function nodes, you can create trade systems of arbitrary complexity using only your mouse. Bloodhound is also amazingly fast, enabling you to prototype, test and analyze trading systems faster than any professional software developer can. Changes to your system are reflected in real-time. This instantaneous feedback boosts creativity and experimentation giving you the ability to hone your system to perfection without the tedium of software process. Bloodhound’s logic templating system includes a suite of logical nodes that serve as the construct for your trading system. By manipulating these atomic blocks, you can create systems that are limited only by your imagination. Using fuzzy logic to compute its results. Giving you the option to create trading behavior that mimics expert discretionary traders. Bloodhound does most of this hard work behind the scenes, so for the most part you don’t even have to think about it. Bloodhound is also a full blown auto-trading robot out of the box. Specific your entry and exist conditions using Bloodhound’s powerful logic capabilities, then execute your actual trades using Raven (included with Bloodhound). One of the key advantages that robotic execution has over manual execution is the complete lack of emotion when placing trades. Trading is a game of probabilities, and only when you actually execute your system properly can you realize favorable odds. Auto-traders are also deadly accurate. An auto-trader won’t miss opportunities or make errant trades that don’t actually make your criteria. All SharkIndicators partners have been rigorously trained by us and use our software to trade and teach on a daily basis. In addition to the instruction received by your trading coach, SharkIndicators provides a library of videos, documentation, support forums, interactive workshops and 1 on 1 consultation (free) all included with your license of Bloodhound. We hand hold you through the development, analysis and execution of your trading systems allowing you to reach your trading goals with our software. To get started head over to our getting started guide which will direct you to all the important resources on our site. It is designed to bring the computational power only once available to hedge funds with deep pockets to the retail trader. Bloodhound’s programmable robotic assistance puts you at the cutting edge of retail trading, allowing you to compete effectively with the big boys. Put the odds in your favor today – visit us at our main website: www.sharkindicators.com to learn more! Get Both Products and Save! Hola Traders, solo quería expresar mi gratitud a Daniel Roe , CEO y alma de Trade-the-Plan por su constante trabajo para mejorar nuestras operaciones. Recomiendo su método y las extremadamente útiles herramientas que él y su equipo están desarrollando. Aunque no tengo mucho tiempo para interactuar en el grupo de trading de TTP, aprendo mucho cada minuto que paso con ellos. Conocí a Daniel cuando estaba ofreciendo sus servicios desarrollando estrategias en BooldHound, él es muy bueno en eso. Pero a partir de ahí continué en contacto hasta que comenzó su propia empresa, para demostrar que realmente valía la pena su método de Trading. Él la está mejorando constantemente, y eso es algo bueno. Ningún método es válido si no se renueva constantemente, el Trading es algo vivo, cambiando las reglas constantemente, si mantenemos nuestro método vivo, nos mantendremos en el objetivo. Eso es exactamente lo que está haciendo TTP. Dicho esto, debo remarcar que las herramientas de TTP son realmente fantásticas para cualquier tipo de método en el análisis técnico. De seguro, recomiendo fervientemente echarle un vistazo. I have been with Trade the Plan for almost a year and Daniel Roe has helped me with my quest to be a successful trader. His insights into market geometry and his tools are amazing! A must own. The first 2 years of my trading career was like most traders starting out. It was costly and did not seam logical with what was being taught. Green light / Red light trading systems was not the path I was looking to take in my trading. And when a question was asked about the system and why to take a trade, you would not get a straight answer. After giving away close to $10K I was still searching for a more common sense approach to trading. After doing more research I found the logical answer in Market Geometry and Volume Analysis. It was at this point I came across videos from Daniel Roe, and I knew then my search was over. A fellow trader knew Dan and after a couple of conversations with Dan, I was sure he was the man I wanted to learn from. That was over 4 years ago when TTP was just getting started. Dan’s tools that he has developed are second to none, as they should be with the amount of time that he has spent refining them. And while the tools are certainly an important addition to the TTP trading method, the most important of all is Dan himself. Dan’s approach to trading has a great track record that has been around since the early 1920’s, if I remember correctly. Any trader can benefit from TTP. I’m proud to be a part of the TTP family and look forward to trading in the trade room every day. A review of Trade the Plan (TTP). I’ve been using Daniel Roe’s (TTP) software for Ninjatrader since he first released it back June 2015. It’s been an exciting journey to date. I have witnessed a man who is dedicated to improve on his software, along with helping himself and many traders become better traders. Trading is not easy, and Daniel Roe is working tirelessly help others which is very rare in this industry. Trade The Plan software – Volume Analysis, Divergences Pro, Market Geometry tools, etc along with Basic Elliott wave patterns, are what Dan uses to help define low risk high reward trade setups. Do all setups work, no, and no system / method is perfect, It will take time to learn everything and seem very daunting to start with, but it’s much better than anything else I’ve seen / used. In the nightly trading room Dan along with other members help explain trade setups, the room is not a trade calling service, but room to help you learn the methods used and better learn the software. Daniel Roe trades a live account NOT a sim account like many other trading rooms, you get to see and hear all the real emotions that go with trading live. I look forward to being involved with Dan and all people with Trade the Plan as it’s a excellent group of people to be around and I haven’t seen anything else that comes close. In the interests of full disclosure, I do speak in the trading room as a panellist on some occasions, however all the opinions here are my own , nobody is paying for this review or is being reviewed before being posted. I have been a Master Suite Ultimate owner for over a year now and it is worth every penny. Dan’s passion and dedication to develop the tools and methodology has been next to none. I truly feel fortunate to be part of this organization.